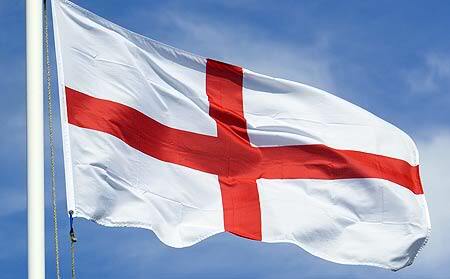 St George is England's patron saint. 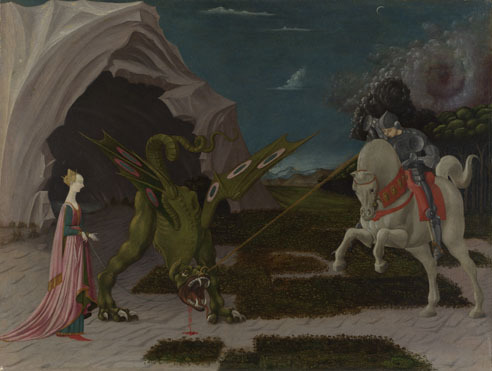 The myth of St George and the dragon is not any other thing than the eternal fight between good and evil, where George represents the Church which defends a maid, the people, from the dragon (snake in Genesis) or evil, expeling fire as Hell. St. George is believed to have been born in Cappadocia in the year A.D. 270. He was a Christian. At the age of seventeen he joined the Roman army and soon became renowned for his bravery. He served under a pagan Emperor but never forgot his Christian faith. When the pagan Emperor Diocletian started persecuting Christians, St. George pleaded with the Emperor to spare their lives. However, St. George's pleas fell on deaf ears and it is thought that the Emperor Diocletian tried to make St. George deny his faith in Christ, by torturing him. 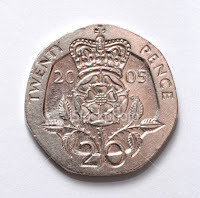 St George showed incredible courage and faith and was finally beheaded near Lydda in Palestine on 23 April, 303. 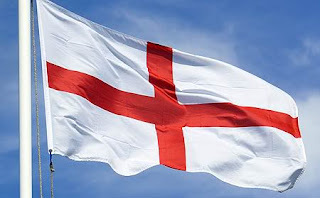 St George's symbol, the red cross with the white background was originally adopted by Richard The Lion Heart and brought to England in the 12th century. Nowadays people will wear the red rose, the national flower on their button hole. If you want to try some very British with a tasty tea, don't miss Manu Catman's recipe on Battenberg cake. However, he made it with his corporative colours, whereas British mostly eat it with the white and red colours.